Manitoba's Human Capital Pathway for international skilled worker applicants with skills and training aligned with Manitoba’s in-demand occupations list. 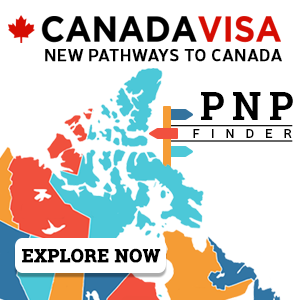 It is part of the Skilled Worker Overseas stream of the Manitoba Provincial Nominee Program (MPNP). The Canadian province of Manitoba is looking for individuals who demonstrate strong potential to settle into the local labour market soon after arrival. Work Experience The employment experience declared must be full-time and for a period of at least six months. There is no minimum, but zero points will be awarded for less than one year of work experience in total. The work experience must be in an occupation on the In-Demand Occupations list. Applicants must also submit a complete Career Plan. Points are also awarded for second official language proficiency of at least CLB 5. Education Applicants must have completed a minimum of one post-secondary program of at least one year. If the occupation required licensure or certification, applicants must apply to the regulatory body to have their qualifications and skills assessed and/or pass an examination. A valid Invitation to Apply issued by the MPNP. Age Minimum age of 18 at time of submission; no maximum age but no points are awarded over 45 years of age. Applicants must also demonstrate that they have liquid funds equivalent to the Low Income Cut-Off (LICO) requirements for a six-month period. The required settlement funds must be equal to or greater than the sums listed below for each family size. Requirements for settlement funds are updated annually. Assess your eligibility according to the information on this page above. Eligible persons must score at least 60 points (out of 100) according to the Manitoba Skilled Worker Overseas points grid. If you are eligible, you may create a profile in Manitoba's Expression of Interest (EOI) system for skilled workers. At this stage, you become a candidate. Candidates are assigned a score out of 1,000 based on a range of credentials under Manitoba's unique ranking system for skilled workers. Periodically, Manitoba immigration authorities invite the highest-ranked candidates to apply for a provincial nomination. This is known as a draw. Invited persons may apply for a 'base' provincial nomination under the MPNP. Base nominations are not aligned with the federal Express Entry system. Applications are processed outside Express Entry. Successful applicants may then apply to the federal government for permanent resident status. 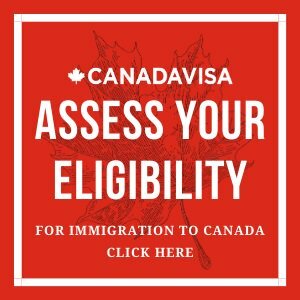 British Columbia invited 157 immigration candidates to apply for a provincial nomination for Canadian permanent residence in a provincial draw held April 23. The Government of Canada issued 3,350 invitations to apply for Canadian permanent residence on April 17 to candidates with profiles in the federal Express Entry system.